Mrs. Hubert H. Humphrey, the wife of the Vice President of the United States; and commissioned on 1 April 1967, Capt. R. Y. Kaufman and Comdr. W. J. Cowhill in command of the Blue and Gold crews, respectively. 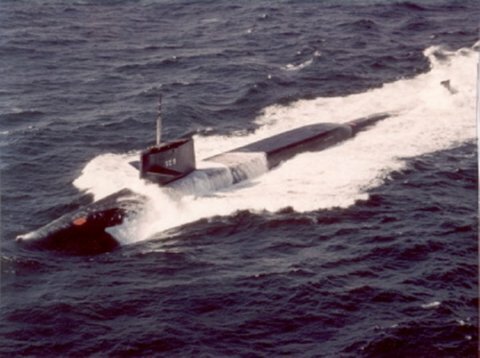 Following shakedown, Will Rogers culminated her initial training and work-up by conducting a successful Polaris shot in the Atlantic missile range off Cape Kennedy, Fla., on 31 July 1967. In October of that year, she made her first deterrent deployment.